Before you head out for your holiday road trips, read these important tips. Heading out on the road this holiday season? We know you are in a rush to see your loved ones - but don't let safety fall by the wayside! 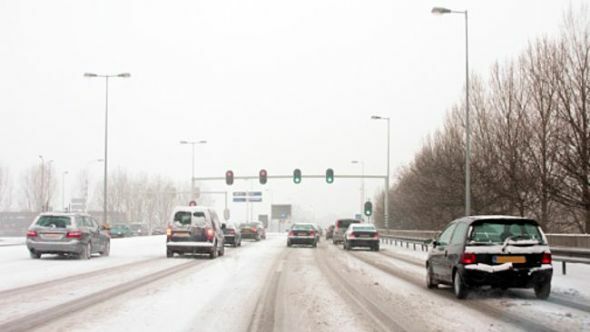 Follow these important tips to make your winter road trip (or any winter drive) that much safer. 1. Create a Survival kit. Now, I am not talking a hurricane style survival kit filled with candles and canned goods - I am thinking about a car survival kit - things you may need if you find yourself stranded on a road. Flashlight, warn blanket, water, flares, booster cables or battery pack - and some granola bars for good measure. This kit should be small enough to keep in your trunk at all times. 2. Check the Weather Often. We know that the weather forecast can change in an instant - be as prepared as possible by checking the weather and traffic conditions leading up to - and during - your trip. leave plenty of extra travel time for inclement weather conditions. Winter tires have a much shorter shopping distance (about 25 - 40% )than this all-season counterparts. Make sure your vehicle can stop as quickly as possible by getting winter tires installed before you head out. I know, it probably seems silly to talk about fashion choices when you are about to sit in a stuffy car for hours on end - but I swear it matters! Opt for layers instead of a puffy winter coat - as puffy coats can compress in an accident and may cause your seatbelt to shift out of place. Puffy coats (or too many layers) can also restrict your ability to check your blind spot. Not only will you avoid running out of gas on a cold winter road - you can also reduce condensation in the gas tank as well as frozen fuel lines by simply making sure your gas tank doesn't dip below half in the colder months. BONUS TIP: Get an oil change! You may not be aware, but you actually need to change your oil more often in the winter months. The cold weather causes the oil to become thicker and more sludgy, preventing it from moving freely throughout the engine.